Used in 315 recipes at an average of 2.033%. 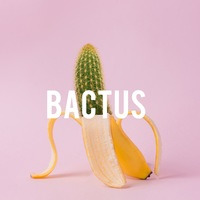 A fanciful combination of banana and cactus, what else? The banana combo is compliments of @Tootall and is, by far, the best banana combo around. The distinctive ‘fake banana’ FLV, with its natural, ripe banana creaminess blends perfectly with the equally ripe and runty WF Banana Puree to create a decadent banana ‘pudding’. This is good off the shake. 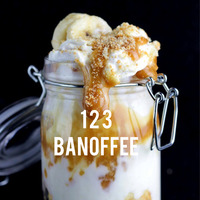 A simple interpretation of a traditional Banoffee without the pie crust element. 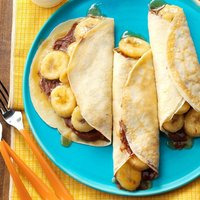 WF Banana Puree is an intriguing mix of ripe and "runty" banana, which makes it perfect for this creamy application. 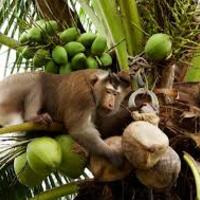 It is a vibrant, ripe banana flavour without being too dominant at lower %'s. I noticed slight fading over the 20 day mark but significantly enough to impact negatively on the vape experience. 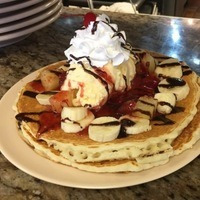 Cap Vanilla Whipped cream provides an intense, full, whipped cream taste and texture to enrobe the bananas beautifully. The slight hint of vanilla is evident on the exhale and finishes the creaminess dazzlingly. FLV Toffee is a phenomenal toffee if treated with (love &) care. At 1% it fulfils its intended purpose of providing a sweet, thick toffee accent, blending with the sweet whipped cream with ease. I experimented with various caramels but this toffee came out tops and stayed true to its' name...Toffee! Give this baby at least 5 days to settle, best after 7. 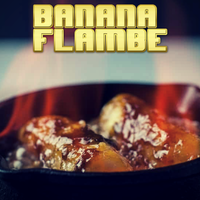 Sticky banana flambé with a butterscotch and vanilla cream. Banana purée is still the best banana in my eyes so that was a fairly easy decision here, the golden syrup and barrel oak give that flambé liquid to the mix, the GS also helps the butterscotch... the milk and honey also aids the butterscotch/vanilla cream to bring out the sticky syrupy side and also the dairy side of the cream is highlighted... the super sweet is optional as it is sweet anyway but ahh what the hell. Muddled mess at first. Not sure how it steeps just yet. I would definitely sub for a different pancake or pancake type flavor as the TFA has a maple note that I forgot about and it clashes with the chocolate notes. pancakes with strawberries and banana slices on top. Inw strawberry shisha is a really nice syrupy strawberry and wf banana puree is a very authentic ripe banana. The wf Vanilla cream extra represents the ice cream on top of the pancakes. I left out the chocolate sauce because I did not want to muddle the mix. 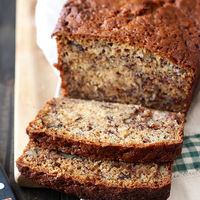 I've been working on this recipe since first trying TFA Banana Nut Bread awhile back and I finally have something that I enjoy quite a bit and I feel others will as well. 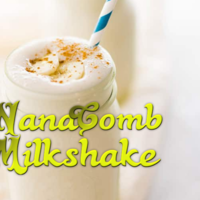 TFA Banana Nut Bread/WF Banana Puree - The base of this recipe is obviously the TFA BNB but I wanted to boost the banana flavor so I originally started out with TFA Banana Ripe but there was a weird off-note and I just really didn't like that banana flavor at all. After getting some advice from others I settled on WF Banana Puree as a replacement which is worlds better than Banana Ripe. INW Custard/LA Cream Cheese Icing - My early attempts at this recipe were sort of dead/bland on the exhale and it was really annoying me. 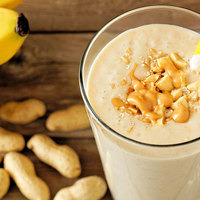 During this time I experienced INW Custard for the first time in Mr Burgundy's St Louie Butter Cake recipe, which also included the CCI though I had used it before, and I knew right away that this is what I needed in my Banana Nut recipe. The combination of these two flavors add a nice richness with some nice mouthfeel and a buttery sweet banana exhale that is very pleasing. This really boosts the overall vape experience and I'm very happy with it. FW Butter Pecan - I chose to add this to help accent the nut flavor in the Banana Nut Bread. It's very subtle but you definitely get the hints of Pecan flavor throughout the vape experience. CAP Super Sweet - This was just added for a touch more sweetness. It's such a small quantity that it can be left out if you choose but I wanted that little extra touch of sweetness so I included it in the recipe. This is actually quite good as a SNV but it really needs a good week for the Custard and CCI to work their magic.